What will happen if it all falls down? I guess the housing “recovery” has been fun, but it looks like transaction volume continues to decline. 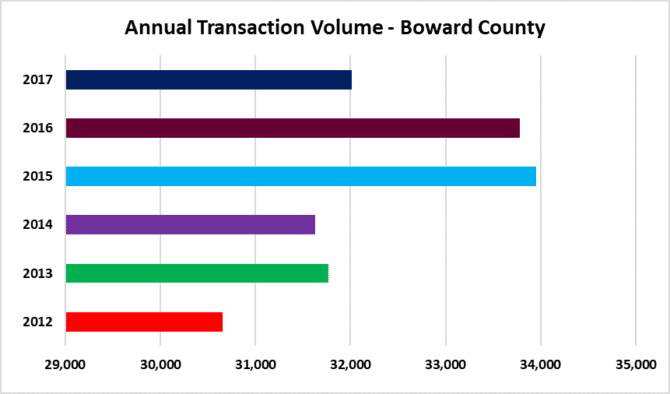 Today we will look at the Greater Fort Lauderdale / Broward County Florida residential real estate market. 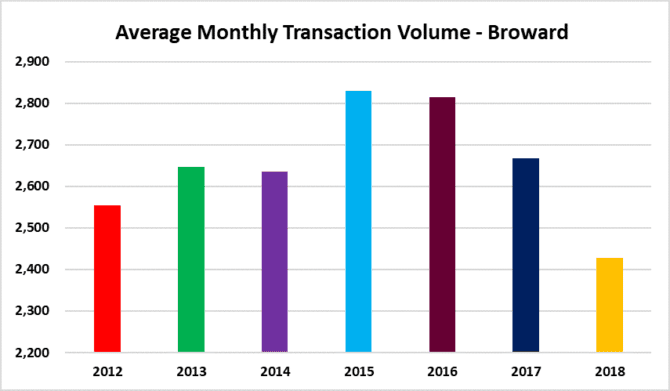 The average monthly transaction volume has been declining since peaking in 2015. Note the sharp climb in median sale prices of short sales and foreclosures. This shows that the higher-end distressed properties are finally making their way to market after spending nearly a decade in the court system. Keep in mind that the property owners that have the money for an attorney have been able to delay the property sales for nearly a decade. 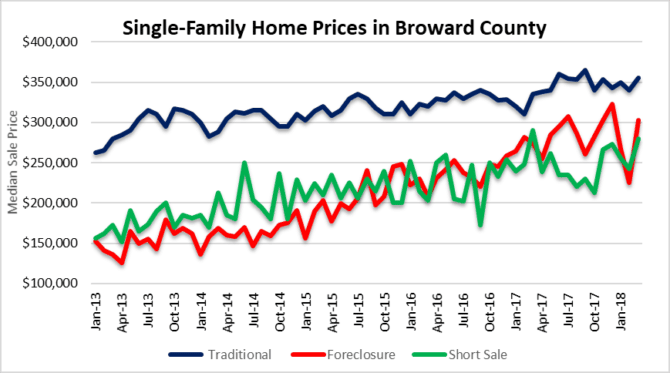 As we have discussed at length, the foreclosure problem in South Florida will continue to linger for years to come. How about condo properties in the Greater Fort Lauderdale area? There was a big jump in short sale prices. Once again, this further illustrates that some higher-end distressed condo properties are finally being sold. As for the mortgage rate, there was a slight decline from last week. Transaction volume has been fighting an uphill battle since rates have climbed. The path to normalization may be a bump one for housing. 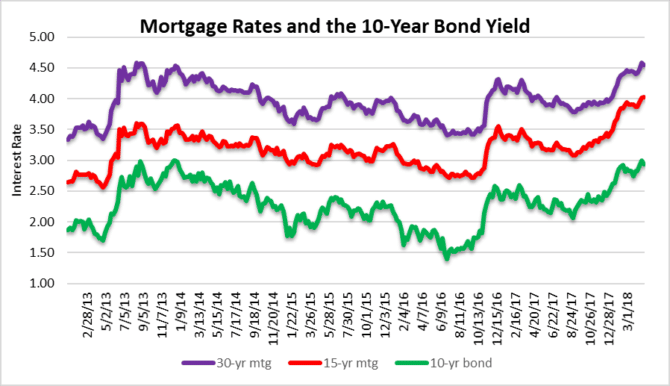 If mortgage rates continue their path higher, you will certainly see the sale prices of houses and condos declining. 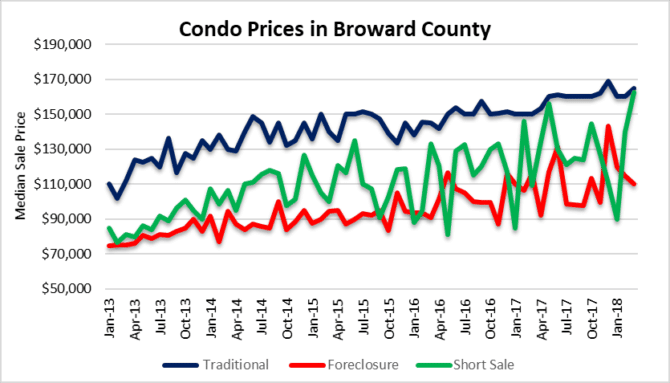 This entry was posted in Foreclosure activity, Fort Lauderdale real estate, Market Insight, Mortgage rates, South Florida Real Estate and tagged Florida real estate, Fort Lauderdale real estate, housing bubble, REO, short sale. Bookmark the permalink. Both comments and trackbacks are currently closed.